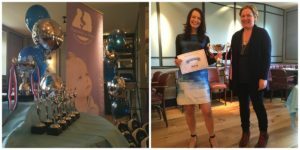 Harmony at Home Nanny Agency celebrated 12 years of quality childcare at the fabulous Côte Brasserie, Haywards Heath, on Thursday 21st of April. Founded in 2004, by Norland Nanny and mother of three, Frankie Gray, the company has grown to become one of the most highly-regarded childcare and nanny agencies in the business—providing the finest quality service to families across the world. From its modest roots in Surrey, the company now boasts a flourishing network of successful branches throughout England, and overseas, as well as a dedicated Nanny Academy—providing high quality training for all professional nannies and childcare workers. The Harmony at Home brand also includes an extremely successful children’s boutique—which sells an impressive range unusual high quality toys and children’s clothes from its High Street shop in the historic village of Lindfield, West Sussex. The Harmony at Home children’s boutique is also available online. How does Harmony at Home achieve this level of success? In a ceremony, marking the culmination of the day’s events, Frankie Gray awarded prizes, within ten different categories, to the this year’s most successful members of the team. The most highly coveted award, ‘Top Franchisee 2016,’ went to Philippa Day, owner of Harmony at Home Nanny Agency Berkshire. It’s no coincidence that Philippa was also nominated for this year’s Working Mums Top Franchisee of the Year award, which is a national competition covering a wide range of businesses. Frankie Gray also had an important announcement to make regarding customer service. Following an independent audit, in which all franchisees were approached by a highly demanding mystery shopper, it was revealed that every branch of the Harmony at Home network had passed with flying colours! It was therefore with great pride that Frankie Gray awarded her entire team with Gold Standard certificates for Customer Service. At the end of the day’s events Frankie Gray launched a brand new product: the Harmony at Home Daily Childcare Diary. This new book, an essential resource for all professional nannies and childcare workers, is the latest innovation to set Harmony at Home apart from the competition. The future therefore looks bright for continued growth! Digital Childcare: What are the alternatives? Most children love technology: from the TV remote to all sorts of gadgets and devices. As a result, TVs, and increasingly other devices, such as iPads and Smartphones, are commonly used as a form of digital childcare—allowing parents and childcare workers get on with other jobs. But, is this a positive application of technology that benefits both children and parents alike? Or, alternatively, are children being disadvantaged due to our increasingly hectic lifestyles? A recent study in the United States explored these questions and discovered that parent’s attitudes towards digital devices are often contrary to government recommendations. But, what are the alternatives? In the United States, the Department of Health recommends that digital screen time for young children should be heavily restricted, according to their age. Indeed, all children under the age of two are recommended to avoid TV and other digital screen entertainment altogether. In France, they’ve gone one step further, banning all terrestrial TV programmes for children under the age of three; whereas, in Taiwan, parents face fines of up £1,000 for overexposing their children to digital tech—which they are legally obliged to monitor until their children are 18 years old! In the UK, we currently have no government guidelines regarding the exposure of children to digital technology. Is Screen Time Bad for Children? The impact of digital screen time on child development been the subject of considerable research and debate over recent years. Some authorities regard screens as an important educational tool that can aid learning—even among young children. Whereas others argue that digital screen exposure, particularly at an early age, can hinder mental development. Currently there appears to be no scientific consensus on the subject. However, nobody would dispute the fact that reciprocal, face-to-face interactions, between adults and children, are essential for early childhood development. Therefore, digital technology cannot provide a complete substitute for good childcare—at least for the moment! In the United States, parental attitudes towards digital screen time are generally positive. In a recent study, most parents regarded digital media technologies as vital to their children’s development. As a result, the application of digital screen time was considerably greater than government recommendations. The US study also revealed that 90% of parents regularly resorted to screen technology as a form of digital childcare. Stay-at-home parents were just as likely to turn to digital childcare as those in full- or part-time employment. Thus, digital childcare is not simply a product of the modern, hectic world. Instead, many parents are offering screen time to children by choice, rather than through necessity. However, the benefits to children of digital childcare are still open to debate, pending further research. Until there is further evidence to the contrary, it’s probably prudent for all parents, nannies and other childcare workers to avoid becoming over reliant on digital childcare, particularly for pre-school children. Indeed, children under two years should probably avoid it altogether. It’s also extremely important to ensure that all screen entertainment for children is age-appropriate and to monitor their response during and after exposure. If the behavioural response is negative, then screen entertainment probably isn’t appropriate for that particular child. Children will always find a way of amusing themselves, no matter how bored they might appear to be—and no matter how much they complain! Indeed, boredom can often stimulate creativity and will allow children to be much more self sufficient. But, self sufficiency is something best encouraged at an early age: as you don’t miss what you’ve never had! Alternatives to screen time are many and varied and can include all manner of arts and crafts, games and toys, imaginative play, as well as physical activities and sports. In contrast to screen time, all of these activities are universally regarded as positive for children’s mental and as well as physical development and well-being. Vittrup, B., Snider, S., Rose, K.K. and J Rippy. 2016. Parental perceptions of the role of media and technology in their young children’s lives. Journal of Early Childhood Research, 14: 43-54. As one of a few early independent Nanny Agencies using a Franchise model, Harmony at Home have passed their first decade of trading successfully. Premium Nanny Agency, Harmony at Home is headed up by Frankie Gray, entrepreneur and founder of Harmony at Home Limited, one of the UK’s most exclusive nanny consultancies. The brand has gained a national and international reputation for its services to childcare, currently Harmony at Home plans to select only a few further Franchisees, to sit alongside the current team in order to keep exclusivity. Play is the main activity and primary source of development in early childhood; as least, according to many psychologists. One form of play that’s particularly beneficial to mental development is imaginary role play, or make-believe—in which children transform themselves into pretty much anything (from a doctor to a dragon) and act out their roles within a group setting, with various rules of engagement. This type of play can draw in children of all ages and can often be extremely engrossing—with some games lasting for hours! However, due to constraints on time, as well as shifts in the culture of childhood, this type of imaginary role play is increasingly rare. As a consequence, the play of today’s children is measurably less sophisticated than that of previous generations. But, should we be worried; and, if so, what can parents and childcare workers do to help? Imaginative role play was once described by the Russian psychologist, Daniel Elkonin, as a ‘giant treasure chest of creativity,’ stimulating cognitive development1. Play is also a liberating activity that enables children to experience and experiment with situations that are often beyond their years. But, despite this liberation, imaginative play also imposes boundaries, which are defined by the rules of the game. Indeed, the existence of boundaries is one of the greatest benefits of imaginary play—as these rules encourage the concept of behavioural self-regulation. Children who act impulsively, against the rules of the game, will invariably be excluded. Thus, imaginative play is an essential preparation for the harsh realities of adulthood. The Russian psychologist, Elkonin, devised four different categories for classifying imaginative play; which ranged in sophistication from low to high. By replicating experiments that were performed in the 1940s, he then used these categories to compare the imaginative play of post-war and early 21st century children. The results were astounding. What Elkonin found was that 5 and 6 year olds of the 21st century had levels of play that were more typical of toddlers in the 1940s; and that 7 year olds of the 21st century had levels of behavioural self-regulation that were typical of pre-schoolers! Children of the 21st century were also generally less able to follow directions. The potential consequences of these changes in behaviour are alarming. For example, children of the 21st century may grow up to act more impulsively, as adults, irrespective of the ‘rules’ of society. Therefore, by denying children the chance to play, we could be storing up trouble for the future! Surprisingly, play is not an instinctive behaviour that we are all born with. Instead, most children learn to play from older siblings and playmates, who act as mentors. In the past this was easy; as most children generally had more time, and greater freedom, to socialise and make friends within their neighbourhood. By contrast, children of the 21st century lead much more structured lives (of clubs, lessons and organised activities), with less time to socialise (with more TV and computer games! ), and fewer freedoms. School and childcare settings are also invariably segregated by age. Thus, the friends, that most modern children make, are equally inexperienced in the art of play. This means that many skills, that were previously learned from older siblings and friends, now need to be modelled and taught by teachers and childcare workers—including nannies. So the challenge for all parents and childcare workers is to encourage the inception of play without it becoming yet another adult-directed activity. This can be achieved through the introduction of age-appropriate props, costumes, and suggested scenarios (e.g. to encourage a child to become a shop keeper, police constable or doctor). Children will then need time (and plenty of it!) 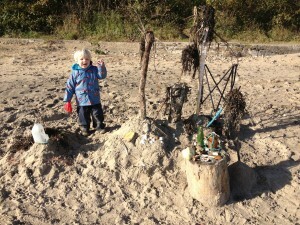 to expand and explore the idea of imaginative play in order to develop their skills. Most children would also benefit from less time in front of a TV or computer, and more time outside playing with their friends. Elena Bodrova and Deborah J. Leong. 2015. Vygotskian and Post-Vygotskian Views on Children’s Play. American Journal of Play, 7: 371-388. 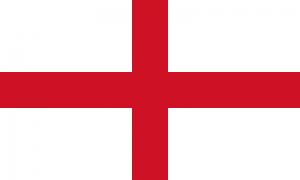 St. Georges Day is always celebrated on April 23rd & is the National day of England. St George is famous for slaying a dragon in 303, and has since become the patron Saint of England. Make St. George’s Day Bunting & Flags. Make a tissue paper red rose and wear on your Lapel. Dress Up – St. George, the Dragon or the Princess! Cook Traditional dishes, the best selection to be found in ‘Jane Grigson’s English Food Cook Book’. Did you know that the Scout movement has been celebrating St George’s Day on 23 April since its first years. Further information about St. Georges Day can be found on Wikipedia here.